HL Tau is a young star, only about a million years old. Despite its young age, the star is already busy at making a family. 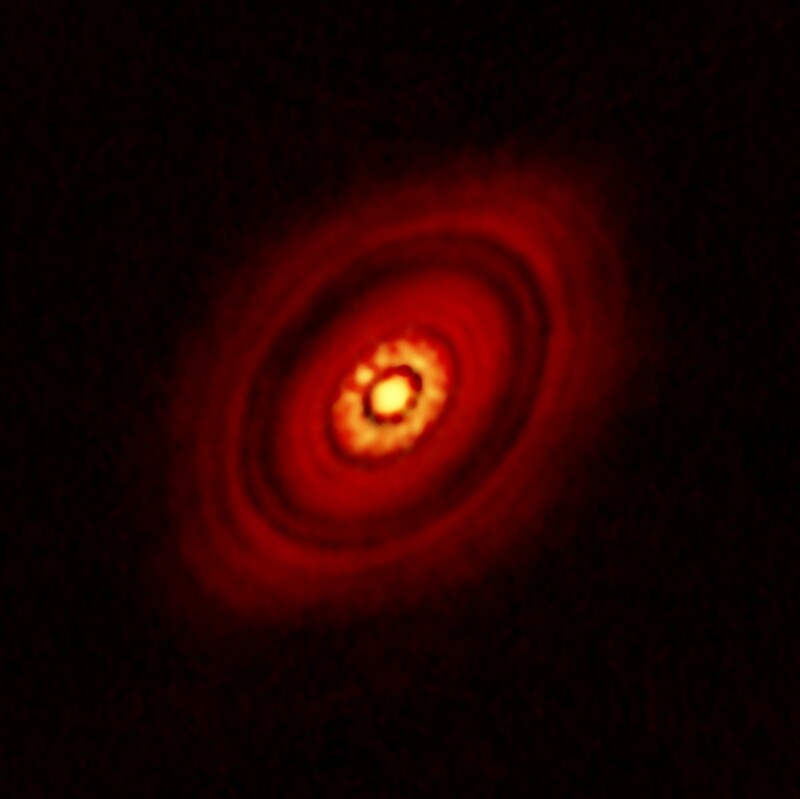 The star is probably most famous for an early image from the Atacama Large Millimeter/submillimeter Array (ALMA), which showed a disk of gas and dust surrounding the star. What was most striking about the image was the clear gaps in the dusty disk, which seemed to be due to young protoplanets as they began the process of formation. ALMA’s strength is the ability to observe light at millimeter wavelengths, which is the type of light emitted by cold gas and dust. Unfortunately the resolution of ALMA isn’t high enough to observe individual protoplanets, which left some doubt as to whether the gaps were caused by some other process. 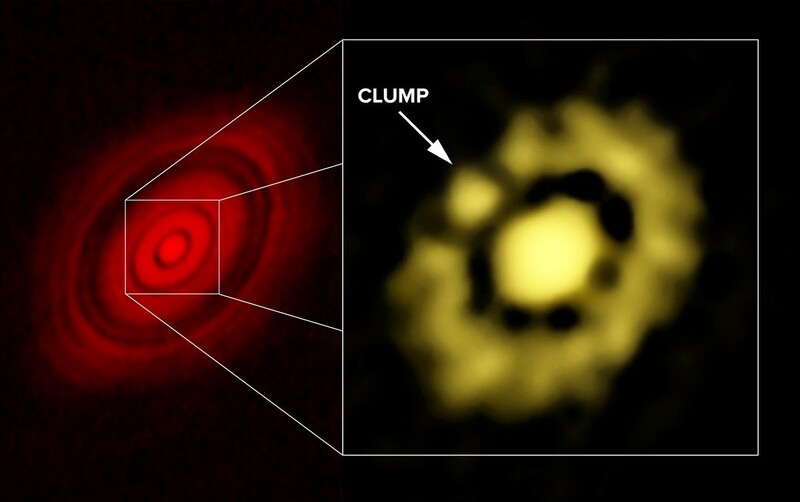 Combined ALMA/VLA image of HL Tau. Credit: Carrasco-Gonzalez, et al. ; Bill Saxton, NRAO/AUI/NSF. But new evidence from the Very Large Array (VLA) confirms the existence of at least one protoplanet. The VLA observes at longer radio wavelengths, but the VLA antennas can be spread across 36 kilometers vs ALMA’s maximum spread of 16 kilometers. This larger spread means that the VLA can make higher resolution images (though only at radio wavelengths). Recent observations of the central region of HL Tau clearly shows a clump in the inner ring of material, indicating a protoplanet in the early stages of formation. These results show the power of combining observations from different facilities and at different wavelengths. They also demonstrate how astronomy can still surprise us. With an age of only a million years HR Tau is still in the earliest stage of its life, and yet it is already on the path toward becoming a solar system. Did Stars Form In The Center Of Our Galaxy First? When you say that a star is “a million years old”, does that mean a million years after fusion started? Since the protostellar/planetary disk is still evident, is the star still gaining mass at that point? It’s probably gaining some mass, but most of it is already “captured” by this point.